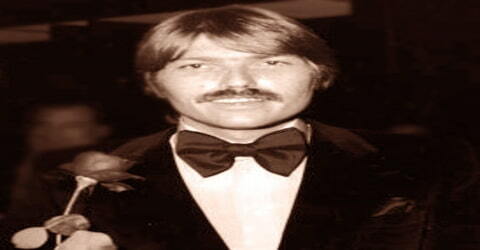 Terry Melcher – American musician and record producer. 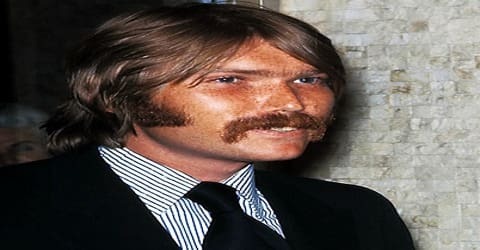 American musician, and record producer, Terry Melcher was born on February 8, 1942, in New York City, New York, U.S. to trombonist Al Jorden and his wife, singer-actress Doris Day. Melcher was the only child of actress/singer Doris Day; his father was Day’s first husband Al Jorden, and he was adopted by her third husband Martin Melcher. Most of his early recordings were with the vocal surf acts the Rip Chords and Bruce & Terry. He was instrumental in shaping the 1960s California Sound and folk-rock movements, particularly during the nascent counterculture era. His best-known contributions were producing the Byrds’ first two albums Mr. Tambourine Man (1965) and Turn! Turn! Turn! (1965), as well as most of the hit recordings of Paul Revere & the Raiders and Gentle Soul. He is also known for his brief association with Charles Manson, a songwriter and cult leader who was later convicted of several murders. Melcher is best known for his association with the genre of music known as ‘California Sound.’ He played a major role in popularizing the folk-rock- genre too. Melcher was associated with rock bands like ‘The Byrds,’ and the ‘Beach Boys.’ Being born to musician parents, Melcher was inclined towards music right from his childhood. Melcher’s career in music started with an association with American singer Bruce Johnston. Melcher and Johnston created the vocal music group, ‘The Rip Chords.’ Later, he worked with ‘The Byrds,’ and produced the cover versions of popular songs, ‘Mr. Tambourine Man,’ and ‘Turn! Turn! Turn!’ He recorded a few solo albums too. He was also the producer of the TV series, ‘The Doris Day Show,’ in which his mother played the lead role. He made headlines for his relations with the notorious ‘Manson Family.’ After the initial camaraderie, Melcher and Charles Manson developed irreparable differences. After his differences with Charles Manson, he lived a secluded life, fearing possible attacks from Manson or his gang. In the 1960s, Melcher was acquainted with the Beach Boys, helping connect Brian Wilson to Smile lyricist Van Dyke Parks. Melcher later produced several singles for the Beach Boys in the 1980s and the 1990s, including “Kokomo” (1988), which topped U.S. record charts. Terry Melcher died after a prolonged battle with cancer. He was survived by his mother, wife, and son. Before birth, Day was planning to divorce Al Jorden due to his alleged physical abuse and violent temper. Upon learning of his wife’s pregnancy, Jorden had demanded that Day get an abortion. Shortly after giving birth, Day filed for divorce and left the infant with her mother in Ohio. Doris went back to touring with big band leader Les Brown and after the divorce; Jorden visited his son infrequently and had little presence in his life. Young Melcher was sent to Ohio, to live with his maternal grandmother, Alma. Melcher never had any relations with his paternal family. After divorcing her second husband, saxophonist George Weidler, Day married Martin Melcher, who would become her manager and produce many of her films. Melcher adopted Terry, giving the child his surname. Melcher was very close to his mother. But as the age gap between them was very less, they were like siblings, rather than mother and son. He received maternal affection from his grandmother, Alma. Thus Terrence Jorden officially became Terry Melcher. He attended the ‘Loomis Chaffee School,’ in Connecticut, for his early education. Later, he attended the ‘Beverly Hills High School’ in California. Melcher subsequently attended Principia College in Illinois for a short time. After Martin Melcher’s death in 1968, Day discovered that Martin had mismanaged or embezzled twenty million dollars from her. Terry Melcher was initially fond of his stepfather, Martin Melcher. He was eager to see his mother marry Martin. But after the marriage, Martin started taking control of monetary affairs. He mistreated young Melcher. After Martin’s death, it was discovered that he had embezzled twenty million dollars from Doris Day. Terry Melcher was married thrice. He was married to Melissa E Brown, from 1974 to 1977. Later, he married Jacqueline Carlin. The couple has a son, Ryan. His third marriage was to Terese Edwards. Melcher’s career started with the surf craze that was kicked off by the Beach Boys in the early part of the decade. Teaming up with future Beach Boy Bruce Johnston, Melcher formed the Rip Chords, who scored a hit with “Hey Little Cobra.” Melcher and Johnston were also responsible for the one-shot studio group the Hot Doggers. He also began writing surf songs with Bobby Darin and, of all people, Randy Newman. Yet it was not until Melcher was hired as a staff producer at Columbia Records that he really began to shape the sound of California rock. Assigned to a new band named the Byrds, Melcher helped craft the group’s fusion of rock and folk into a groundbreaking sound. The tension between the producer and the Byrds’ manager, however, caused Melcher to be booted as the band’s producer, but not before the group, under Melcher’s direction, recorded the definitive version of Pete Seeger’s “Turn, Turn, Turn.” It had the folk-rock version of the original song, ‘Turn! Turn! Turn!’ by Peter Seeger, and several other popular charts. ‘The Byrds’ version of the song reached number one spot, on the ‘US Billboard Hot 100’ chart. It was released in 1965. Melcher had some conflicts with ‘The Byrds,’ due to which he was removed from the position of producer. He later worked with several other music bands such as ‘Paul Revere & the Raiders,’ ‘Gentle Soul,’ and ‘The Mamas & the Papas.’ He worked with the ‘Beach Boys,’ on their platinum album, ‘Pet Sounds.’ Melcher was the background vocalist for the album. Melcher was instrumental in signing another Los Angeles band, the Rising Sons, led by Taj Mahal and Ry Cooder. Melcher also performed on the Beach Boys’ platinum album Pet Sounds as a background vocalist, and introduced Brian Wilson to lyricist Van Dyke Parks in February 1966, beginning their partnership on The Smile Sessions project. Melcher was a board member of the ‘Monterey Pop Foundation.’ He was a producer of the ‘Monterey Pop Festival,’ held in 1967. Melcher remained a presence on the L.A. scene throughout the late ’60s, collaborating with such mainstays as Glen Campbell and Bruce Johnston and, passing into infamy, when his former house on Cielo Drive became the site for the grisly Manson Family murders. Melcher had known Manson and it was rumored that the producer’s lack of interest in Manson’s songwriting career was why the house on Cielo Drive was targeted. In 1968, Beach Boy Dennis Wilson introduced Melcher to ex-con and aspiring musician Charles Manson. Manson and his “family” had been living in Wilson’s house at 14400 Sunset Boulevard after Wilson had picked up hitchhiking Manson family members, Patricia Krenwinkel and Ella Jo Bailey. Wilson expressed interest in Manson’s music and also recorded two of Manson’s songs with the Beach Boys. For a time, Melcher was interested in recording Manson’s music, as well as making a film about the family and their hippie commune existence. Manson met Melcher at 10050 Cielo Drive, the home Melcher shared with his girlfriend, actress Candice Bergen, and with musician Mark Lindsay. Melcher was associated with the cult leader and criminal, Charles Manson, who was an aspiring musician also. Melcher was initially interested in recording music with Manson. Later, he declined the project, after witnessing a fight in which Manson was involved. This caused altercations between Melcher and the Manson family. As the Manson family was notoriously involved in several murders, Melcher feared for his life. For several years, he led a life in seclusion. Melcher again acted as producer for the Byrds on Ballad of Easy Rider, their eighth album, released in November 1969. The album peaked at No. 36 on the Billboard charts. At the time it was met with mixed reviews but is today regarded as one of the band’s stronger albums from the latter half of their career. In the early ’70s, Melcher was once again hired as the Byrds’ producer on albums such as The Ballad of Easy Rider, Untitled, and Byrdmaniax, but his producing and arranging choices were so off the mark that the latter album was referred to in Barney Hoskyns’ book Waiting for the Sun as “Melcher’s Folly.” As the mellow country sound of the mid-’70s eventually took over the southern California musical climate, Melcher eventually faded from the spotlight and, with the exception of an occasional production (the Beach Boys’ comeback hit “Kokomo”), did less and less in the studio each year. 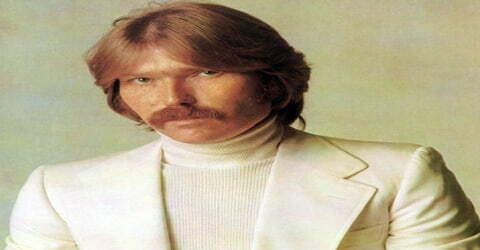 In 1988, Terry Melcher received a ‘Golden Globe’ nomination for writing the song, ‘Kokomo.’ It was co-written by Terry Melcher, John Phillips, Scott McKenzie, and Mike Love, and was recorded by the ‘Beach Boys.’ It was featured in the movie, ‘Cocktail.’ The song reached the number one spot on the ‘Billboard Hot 100.’ It was certified gold in the United States. Melcher produced the band’s 1992 studio record, Summer in Paradise, which was the first record produced digitally on Pro Tools. Terry Melcher suffered from melanoma, during the last years of his life. After battling the life-threatening illness for a long time, Melcher succumbed to it. On November 19, 2004, Melcher breathed his last at his home. He was 62 years old. He was survived by his wife, Terese; son, Ryan; and his mother, Doris Day.